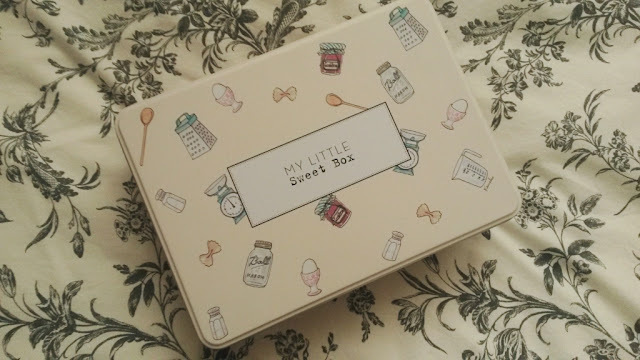 On last months My Little Box review, I noted multiple times how disappointed I was with it's content. This month is totally different. My Little Sweet Box contains lots of lovely creations to be used in the kitchen. Firstly, I just want to point that this months box is actually a tin. I thought this was a really nice little touch (usually they're made out of a very thick card) It means you will be able to use it to store cupcakes, cookies, or even any baking tools etc. 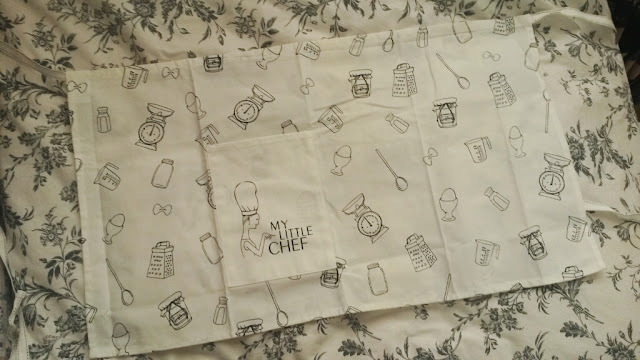 This black and white apron made exclusively for MLB, is perfect for when I bake cupcakes. 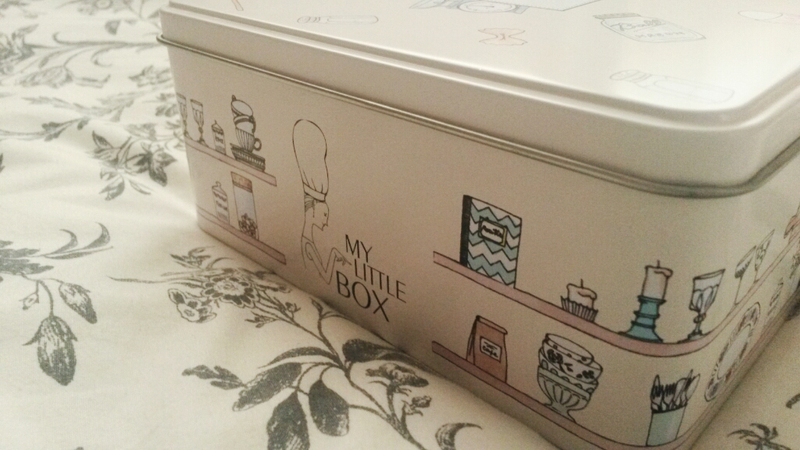 It features a pattern of drawings of all your baking needs and big pocket to put tools in. I'll definitely be using this when making christmas goodies! 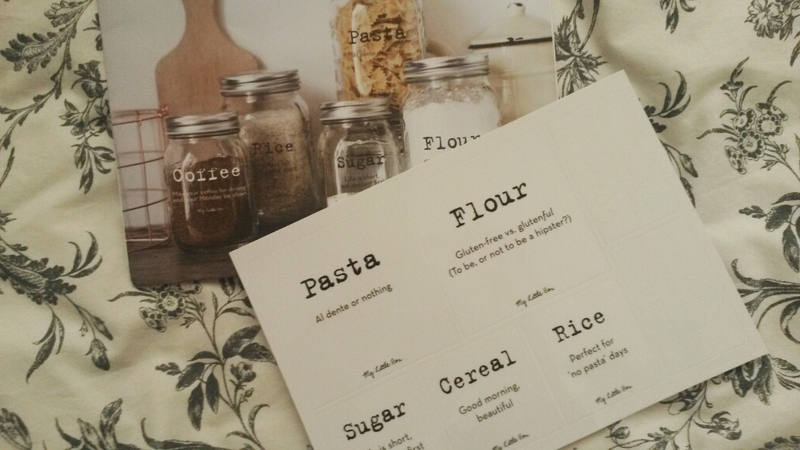 Next up were these clear stickers for jars of your favourite ingrediants and food. I haven't used mine yet; I probably won't until I get my own place. But as you can see in the photo, they'll make your worktop much more organised with some added cuteness! 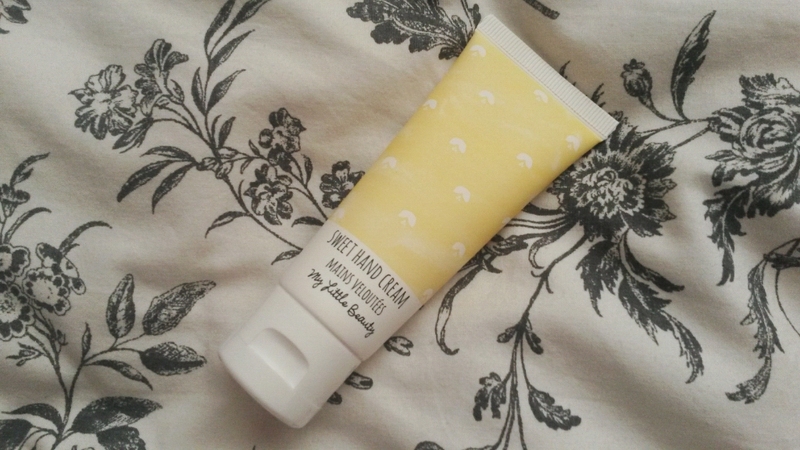 I can't actually find this on MLB's website so I'm not sure on the price, but this hand cream is very lovely. 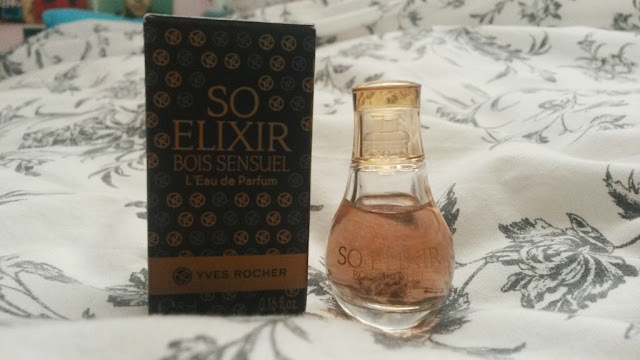 It's not my favourite product from My Little Beauty, but it definitely lives up to it's "sweet" name. This is a multi-purpose oil for your face, body and hair from Ainy. It's chock full of organic and medicinal botanicals which leaves whatever part of body you've choosen, feeling refreshed, hydrated and just beautiful. Plus it smells a-ma-zing! Perfect for those down days when you need a little pick me up. The final product I received this month was a tiny 5ml bottle of perfume from Yves Rocher. Who knew that if you mixed vanilla, iris and woody notes together it could create a smell so wonderful?! Femine, sensual and almost hypnotic. Perfect for date nights! Well done My Little Box, you're back to your best! Listening to: Melanie MArtinez- Mrs Potato Head.